The last few years have seen GARY JAMES JOYNES’ interest in experimental music and adventurous sound works extended into the solo analog noise performance and recording project WIND ROSE. The WIND ROSE project explores pulsed analog sound + noise using repetition and micro tweaking and oscillator layering techniques of a purposefully limited assemblage of vintage analog equipment. 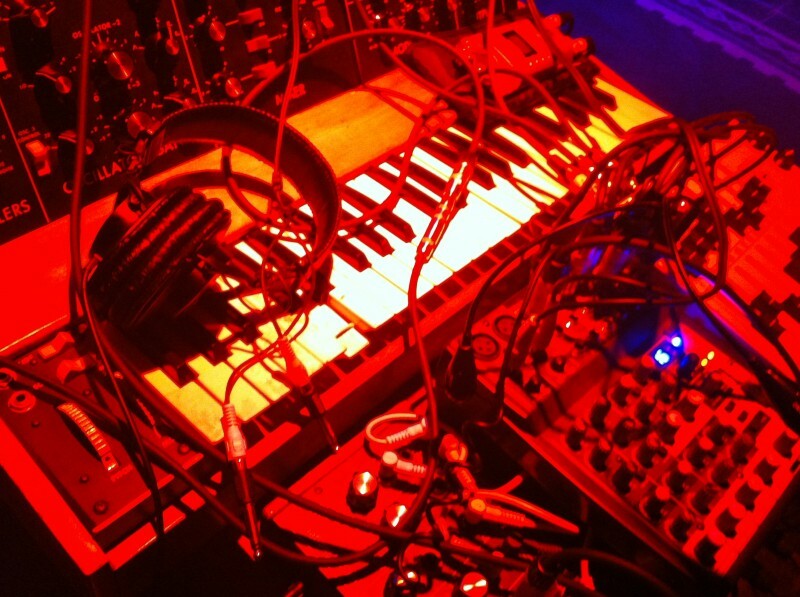 The primary system consists only of Joynes’ prized (and wonderfully broken) vintage Moog Minimoog Model D synthesizer, a Yamaha Model E-1005 analog delay box, a Frost Wave analog CV sequencer and occasionally a Moogerfooger CP-251 control processor. First Edition of 75 copies; Available now. 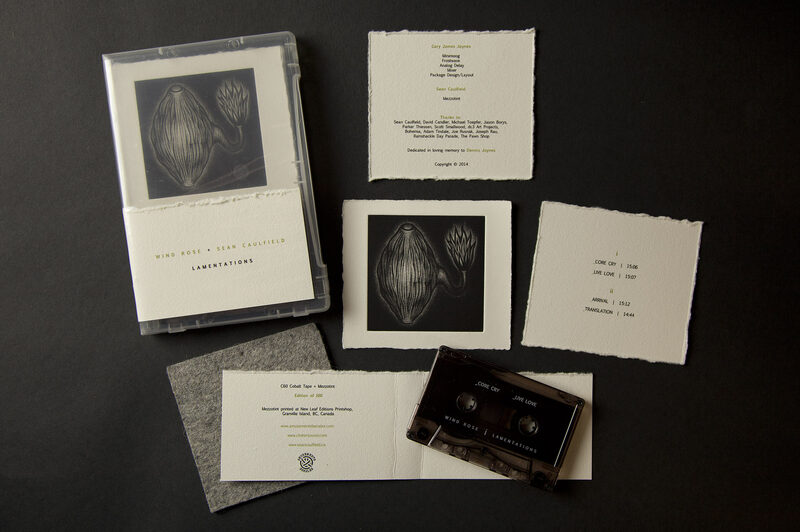 On May 4, 2014 Gary James Joynes (aka Wind Rose) curated and hosted a one day festival at dc3 Art Projects to celebrate his release of the WIND ROSE “Lamentations” collaboration with Sean Caulfield. A survey of some of his favorite Edmonton Sound and Noise Artists was presented in an 8.1 channel diffusion audio system. This compilation features the artists in the order the played in the festival recorded live in concert. As many in the Edmonton art and sound community have known, I have been working on a “NEW” WIND ROSE sound release for over and year and half. The sound and music was recorded shortly after the passing of my Father and is is a reflection of the early phase of my grieving process. I imagined 4 phases of his spirit passing over to the other side… each track is an emotional journey revealed as meditative/pulsed sound. I didn’t hold anything back in the creation of these tracks and they are true to the mandate of my WIND ROSE project which explores layered and pulsed sound and noise using repetition and micro tweaking/layering techniques of only analog oscillators. The instrument used is a wonderfully broken vintage Minimoog and a 70’s analog delay box. I have been a massive admirer of the artwork of SEAN CAULFIELD for many years. I approached him about collaborating on this release and responding to the sound work with one of his amazingly detailed drawings. He offered to do an original Mezzotint with the only stipulation that it would take a long time to create. I didn’t care in the least about the time as I knew the wait would be worth it completely. The art was completed in early 2014 and printed by New Leaf in Vancouver in an edition of 100. 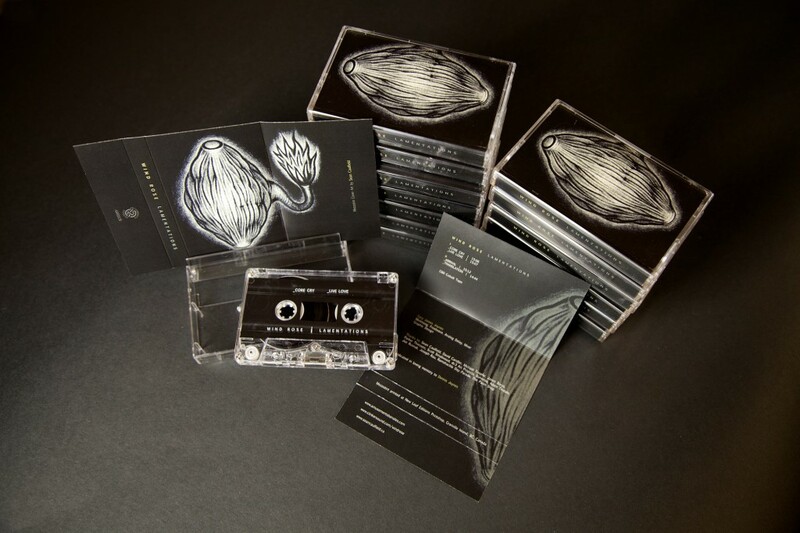 We spent months lovingly hand creating the packaging and I am thrilled with the end product which was released by the Edmonton Label Amusements Banales on May 4th, 2014. The show was presented in the incredible art space of dc3 Art Projects, with a immersive sound space delivered via a fantastic 8.1 Surround PA System. After securing the space and sound system, it only made sense to SHARE all of this with some of my favorite local sound artists. The artists I have selected to play each bring an incredible amount of talent and passion to their work, and had up to 20 minutes to take us into unique and wonderful (some intense) sound spaces! David Candler, Scott Smallwood, Michael Toepfer, Sean Caulfield and all of the contributing sound artists. Various Ramshackle Day Parade artists living in Edmonton, Alberta at the time of press.